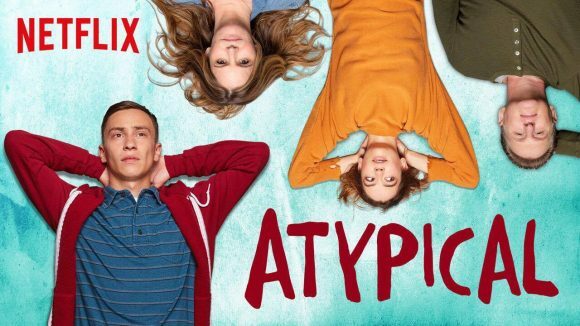 ➢ “Chronicling the 18-year-old life of a young man on the autistic spectrum, Atypical does a fine job capturing choice insights into our protagonist’s mind, but its overarching story is as predictable as they come … That the season ends on a cliffhanger of its worst plot line gives off a worse impression than the series deserves. The ending is predictable, as was the series in general, but Keir Gilchrist’s performance saves it.” — IndieWire. ➢ “The series is as compassionate as it is snarky, pairing a deep understanding about everyday life on the spectrum with a sense of humor rarely found in productions that deal with autism. Atypical risks offending some, but it does more good than harm by demystifying a sensitive and painful subject with an unapologetic candour.” — The Los Angeles Times. ➢ “The overwhelming strength of Atypical is how very human it is, of its affection for its messy, relatable characters. Everyone’s different; everyone makes mistakes. That doesn’t make anyone any better than the next person or any less deserving of happiness or love, and that is the point Atypical makes. It’s not quite groundbreaking, sure, but it’s important, and an idea that manages to feel comforting no matter how many times it’s repeated.” — Entertainment Weekly. ➢ “Nerds and geeks are one of television’s most ingrained stereotypes and viewers without a connection to the world of autism might be tempted to just put Sam into that pigeonhole and think they understand a complex and vexing condition. The line between illuminating and trivialising is particularly thin here.” — New York Times. ➢ “If you enjoy watching good shows with the potential to be a very good shows suddenly shoot themselves repeatedly in the foot, then Netflix’s new dramedy Atypical, about an autistic teenage boy’s coming of age, is for you. Yeah, ultimately it’s a tragedy, not a dramedy.” — The Hollywood Reporter.